Ford Mondeo Estate Performance, Engine, Ride, Handling | What Car? 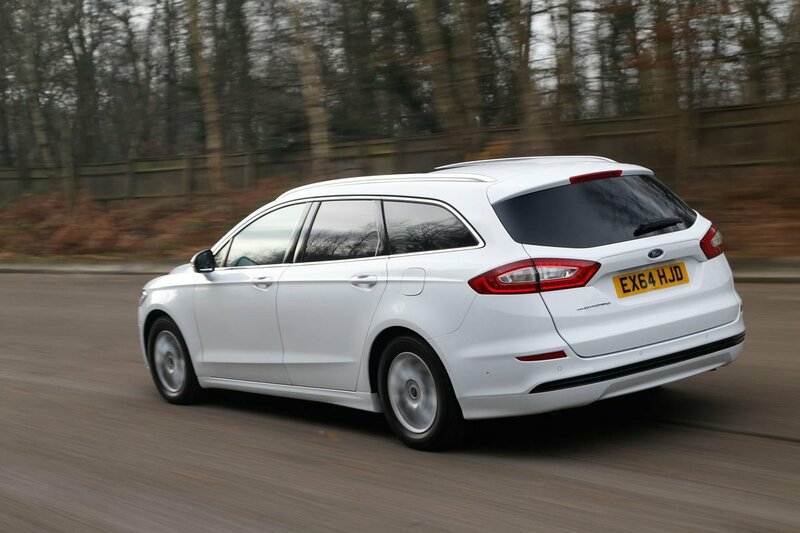 Diesel may not be the flavour of the month but, if you're in the market for a Mondeo Estate, it still makes a lot of sense. 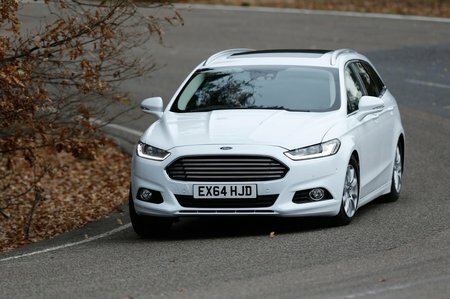 We reckon the incredibly low CO2-emitting 1.5 TDCi is the pick; performance is adequate and this engine in the Mondeo hatchback averaged a remarkable 53.7mpg in our real-world True MPG tests. There’s also a 2.0-litre diesel that’s available in a range of power outputs. The 148bhp version (badged TDCi 150) is satisfyingly punchy and flexible, and doesn’t feel much slower than the 177bhp (2.0 TDCi 180) option. The 148bhp unit is also available in Econetic form, which has slightly different gearing to help lower its CO2 emissions, but doesn’t feel very different from the standard version to drive. 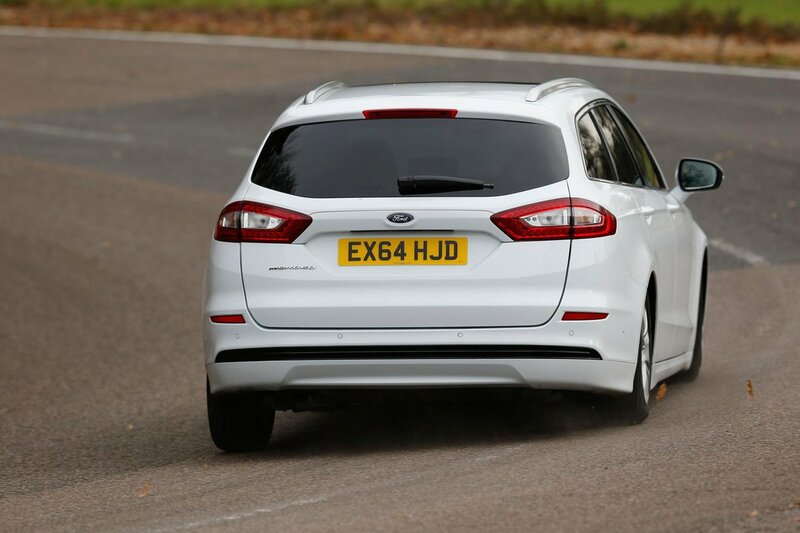 And if you really want your Mondeo to punch above its weight – and, let’s not forget, this is a very heavy car – then the 207bhp twin-turbo that comes standard with an automatic gearbox will give you all the performance you need. If you don't do the miles to justify a diesel, there are also three turbocharged petrol engines: a three-cylinder 1.0 three-cylinder with 123bhp, a 1.5 with 158bhp and a 2.0 with 236bhp. Of these, we'd recommend the punchy 1.5; the 1.0 is a bit sluggish and the 2.0 is too pricey and inefficient. Although there’s nothing particularly clever about the Mondeo’s suspension, it simply shows what can be achieved if you have engineers who really know their stuff. 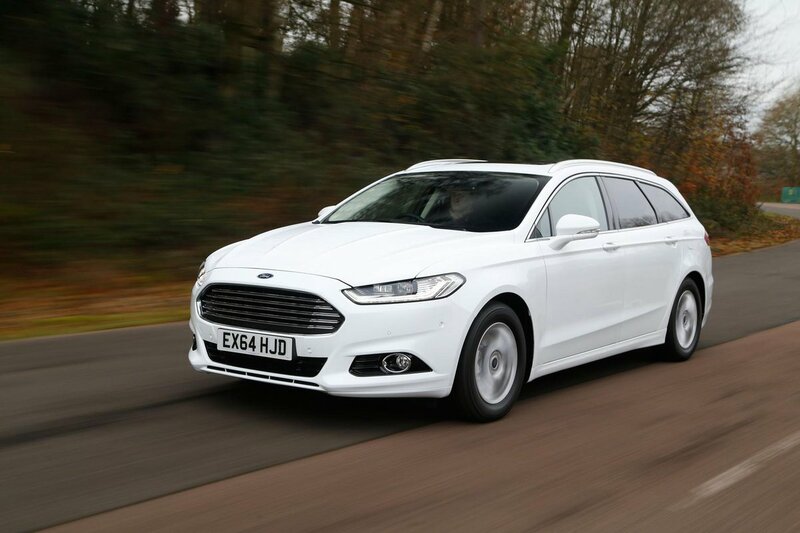 The Mondeo’s suspension does an excellent job regardless of road surface, particularly if you opt for a model with smaller alloy wheels. It soaks up big bumps and fine cracks and ruts, leaving you feeling well isolated inside. Cars with larger 19in wheels do tend to feel choppier over poor town roads, although even these versions settle well on the motorway, especially once you get the car loaded up. Self-levelling rear suspension, which keeps the ride height the same even with heavy loads in the boot, is available at a reasonable cost on all trims. 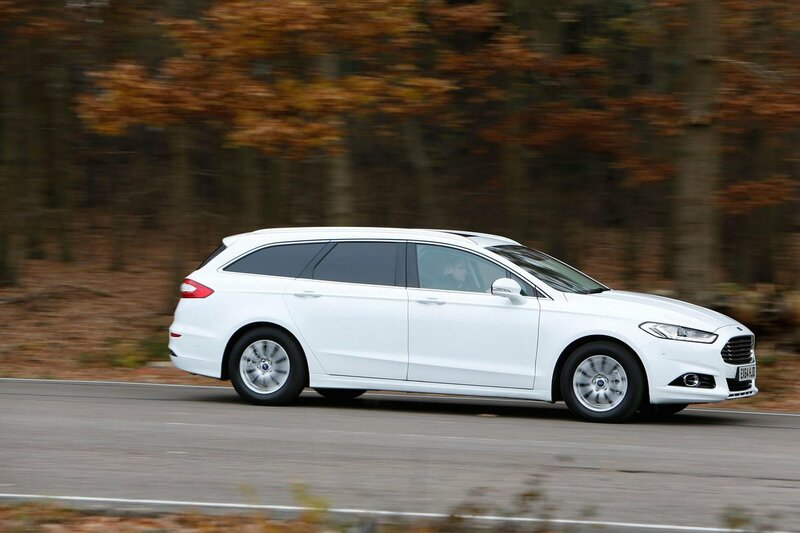 The Mondeo handles exceptionally well for such a large car; it feels agile, turning in to corners eagerly, and stays planted and upright through tight twists and turns. It’s just a shame that the steering, while precise in its responses, can feel a bit light, is too keen to self-centre and doesn’t give you a great sense of how well the tyres are gripping. All the diesel engines are quiet, but the 2.0 ones are particularly hushed, with only muted grumble at low revs that quickly fades to a distant hum when cruising on the motorway. Little vibration makes it through to the steering wheel and pedals, either. Even though there’ll often be times when you’ll need to work it that much harder, at a cruise the 1.5 petrol engine is even more refined. There’s minimal wind noise, although road noise is noticeable at high speed. The six-speed manual gearbox has a light and precise – if fairly long – shift action and, although you do get the occasional shunt from the automatic gearbox, it’s generally a smooth operator.